We have now suffered through the first few weeks after daylight saving. Spring ahead, loose an hour. “Don’t worry,” my friend said. “The days are getting longer.” Spring means it won’t be long before the deep woods snows begin to melt, swelling the brooks, streams and rivers across Vermont’s greening landscape. In time the sun’s influence will cause even more melting and many waterways will overflow their banks. Kind of like the Nile, without the crocodiles. And, like the Nile, the waters will eventually recede leaving the banks and edges of the brooks, streams and rivers well-fertilized. One beneficiary of this free fertilizer is Matteuccia (mat-TEW-kee-uh) struthiopteris (struth-ee-OH-ter-is). The ostrich fern, in English. Most commonly called fiddleheads, which are of course not a type of fern, but merely a stage in the growth process of all ferns. While there are several edible ferns, we will concentrate on the ostrich fern. They can grow in moist areas, rich with leaf mold and other natural enhancements. The ostrich fern thrives along the edges of waterways that often overflow their banks. They grow from rather sturdy clumps of rootstock, which are usually encumbered with grass and twigs delivered by the rushing waters. Almost as soon as the water recedes, the ferns begin to uncoil out of the ground. When it is still about an inch .or so across, a fiddlehead looks very much like the scroll at the end of the peg box of a fiddle. Not a violin, mind you, this is a rural vegetable delight! Very country. More like a fiddle. It is usually a good idea to find someone who knows one fern from another. The next step would be to convince said person to take you into the woods and show you the ostrich fern in its native habitat. Right! The unfortunate problem is, it isn’t likely to happen. As I understand it, about 50 or so years ago, a bunch of new Vermonters who were greedy and ignorant stripped the fiddlehead fields, filling a pillow case for every member of the family. Off to the wholesaler, formerly located outside a ski town southeast of Rutland, where the fiddleheads were exchanged at the rate of two dollars for every pound. Local grocers would retail the ferns for $7-$10 a pound. My contact who lives in Sarasota, Florida confirmed that a large, well known organic market offered fresh (not quite) fiddleheads at the princely sum of $19.99 a pound! 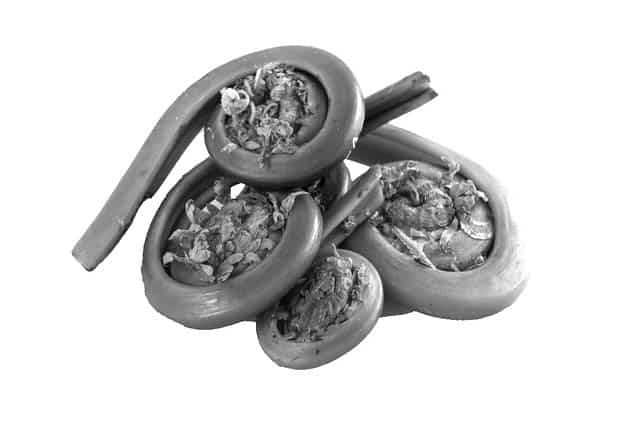 Ignorant people are killing off the fiddlehead population. A true forager knows that one never takes more than a third of the curled fern precursors. That practice will leave enough food-producing fronds for the rootstock to maintain life, and give rise to fiddleheads for years to come. Native foragers have crawled deeper and deeper into the forests to find their own personal patches of the elusive ostrich fern, and aren’t about to let anyone know where that may be. Back to you, the first-time enthusiast. You may benefit from a photograph to get an idea of your quest. The ostrich fern is smooth, darkish Kelly-green, and is covered with a coppery-brown thin skin. The stem has an obvious u-shaped groove along its entirety, from tip to tail. The truth is that it is almost impossible to confuse the ostrich fern with any other. A filled sandwich-sized zipper bag can provide a couple of decent meals for the harvester. You should also know that fiddleheads are sort of poisonous. Or may be, until cooked. So pick only a bag or two to eat during the short season. Pick another bag or two to preserve for later in the year. Keep the ferns refrigerated as soon as you get them to your kitchen. Clean them as soon as possible. Some folks will say to hold the coils under running water to remove the coppery skin. That will work. If you are going to freeze a batch or more, do that as soon as you can. Set up a stock pot with a strainer insert. This makes it easier to do several small batches, while keeping the water boiling. Have a large ice-water bath to shock, or quick chill, the par-boiled ferns. The process is fairly simple. Par boil the fiddleheads for two minutes at full boil. Shock them. Repeat until all your fiddleheads are done. Then spin-dry the fiddleheads with that salad spinner you hardly use. Load a quart-sized freezer zip bag about three-quarters full. Start to set the seal. When the bag is almost closed, press the excess air out of it gently and complete the seal. Freeze ‘em. Remember, you still have to cook the ferns after thawing. Fiddleheads must be cooked. I have been eating ferns for over 45 years. The trouble is that all things growing out in the wild can have microbial activity coursing over their outer surfaces. I may have mentioned that the flooding waters probably picked up a touch of something that passed out of the south end of a north-facing bovine. That’s why we rinse the ferns well after picking off the coppery skins.